Whether you’re just starting a practice, or looking to relocate your existing practice, finding the space that is right for you is essential. The space you select is important because it sets the tone for clients the moment they walk in. If you’re not 100% comfortable in the space, this may often impact your ability to work as effectively as possible. Location is always important with any kind of real estate decision. Firstly, is it convenient for your clients to get to? Is there parking? Public transport? It’s important to consider the catchment area of your proposed area – ie where will clients/potential clients come from? Is it on their way to/from work? Or is it out of their way? And, of course, it’s really important to be sure that the location works for you. If you have to commute a considerable distance to get there, will you be at your best when you arrive and start to work with your clients. 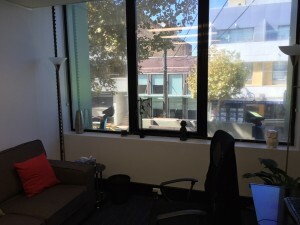 While having natural light can be attractive when looking for a consulting space, it’s also important to consider what other lighting exists within the space. On cloudy days, or at night, will the lighting provide an environment that supports the kind of work that you do? Fleuro lighting is commonplace in office environments. However, these can often be left off and substituted with lamps that provide warmer and softer lighting. It’s useful to sit in the practitioner’s chair, and the client’s chair to experience the lighting impact in both places. Also, can you adjust the lighting. If you want to set the scene for a low energy activity such as meditation, can the lighting be adjusted if necessary? Most practitioners understand that disruptive noise can interrupt a client’s train of thought, or a deeper process. It’s important to consider what noises will impact the practice and the room that you’ll be working in. If the room is next to the entrance or a common area, is there sound dampening equipment and are there quiet zones in place or will you hear conversations and mobile phone calls from people outside your room? Of significant importance if you’re a therapist, counsellor, coach or someone who works within a confidentiality framework – is whether conversations can be overheard. Generally speaking if you can hear conversations clearly from the next room, then they can hear yours too. And, the moment a client can hear those conversations they’ll begin to feel less safe to talk freely. So understanding the sound/noise potential is critical to selecting the right consulting space. Comfort is somewhat subjective, but ensuring that both you, as the practitioner, and your clients, are able to feel comfortable in the environment is important. 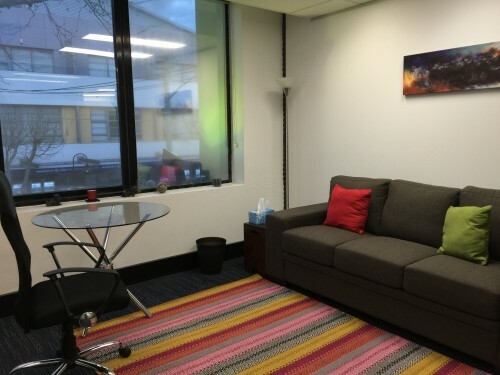 Sit in the practitioner chair before you agree to rent a consulting space. Also, sit in the client’s chair – consider how comfortable it will feel after an hour of sitting in the same place. Comfort also encompasses the ambience in the space. In addition to sound and light, consider the decor, pictures on the walls, carpet/floors. Are they conducive to the kind of work that you do? If you’re an executive coach you may need a more formal setting such as a round table where you and your client can sit and review documents. 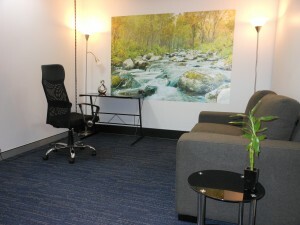 If you’re a psychotherapist you may need a space where a client can rest/lie down for certain processes. Consider all of these by putting yourself into your client’s shoes and trying to sense what they would feel in the space. Safety is an important factor to consider too – particularly if you’re someone that deals with clients who have mental health issues. Firstly, as the practitioner, you need to consider your safety. Is the building a security building? Can anyone access it at any time of day/night? Can anyone walk into the practice and directly into your consulting room with ease? Of course, this is not a likely scenario – but when we work with mental health issues we need to consider the unlikely too. For both yourself and your client, it’s useful to consider whether there is sufficient lighting when entering/exiting the building after dark? Is it a safe area with other people around? While this is definitely not an exhaustive list of factors to consider when selecting a consulting room, these are some important considerations. 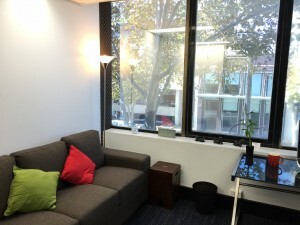 Whether you’re a counsellor, therapist, psychotherapist, psychologist, life coach, executive coach, hypnotherapist, nutritionist, business consultant or anyone that works with clients on a face-to-face basis, selecting the right consulting space for you will support you to have a successful and effective practice/business.